The magic ingredient is FUN for the whole family when this most beloved children’s book comes to colorful life in this delightful musical adventure. 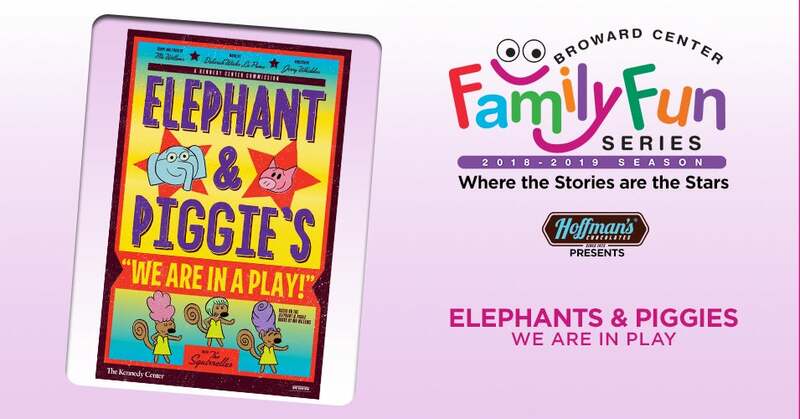 Best friends Gerald and Piggie find themselves on an excellent musical escapade, backed by nutty backup singers, in this adaptation of Mo Willems' award-winning Elephant & Piggie books. As Gerald might say, unpossible? Oh no, very possible and very delightful indeed! Elephant and Piggie even get the audience involved in the action. You’ll be doing the “Flippy Floppy Floory” dance all night long.